BAGUIO CITY – The Cordillera Regional Health Research and Development Consortium (CRHRDC) calls for the submission of health research proposals for funding annually. Relative to this, a series of activities are organized by the Consortium to provide its member institutions a walkthrough on the development of research proposals as well as capacitating them. 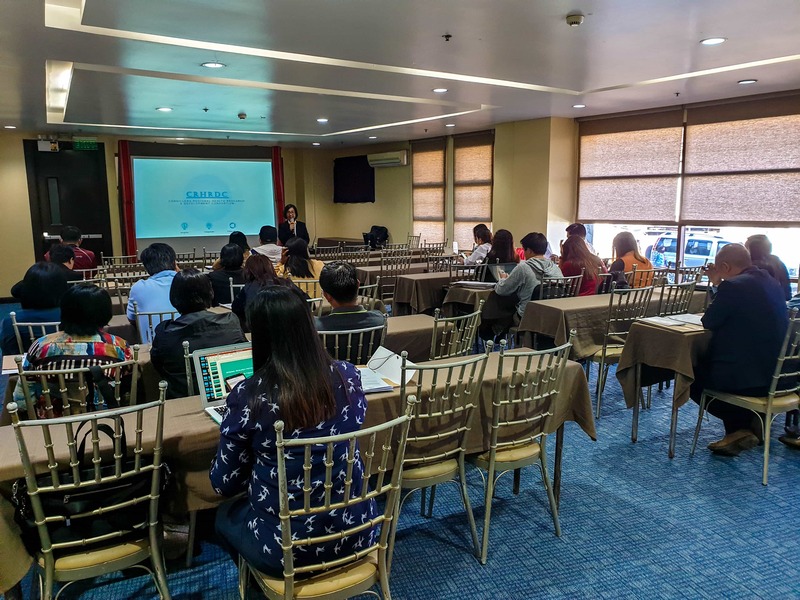 As a prelude, the Consortium conducted the Orientation on the CRHRDC Programs, Grants, and Guidelines on March 25, 2019 at the El Cielito Hotel, North Drive, Baguio City. The orientation was attended by 34 participants consisting of Research Directors/Coordinators, beginning but committed researchers, and facilitators from the different member institutions. The objectives of the activity are as follows: (1) to orient the participants about the programs and activities of CRHRDC; (2) to familiarize with the documentary requirements and evaluation processes of proposal submissions; and (3) to identify researchable topics of interest for possible inter-agency/ multi-disciplinary collaboration. Ms. Maria Rowena Madarang (Consortium Director) presented the background, structure, programs, and activities of CRHRDC. This was followed by the presentation on Line Item Budget (LIB) Preparation by Ms. Paula Jane De Leon (Representative to the Region, Philippine Council for Health Research and Development). Ms. Marian Sanchez (Member, Research Management Committee) discussed the Regional Research Fund (RRF) Initiative; Regional Unified Health Research Agenda (RUHRA); and the technical evaluation of research proposals while Mr. Carlson Dave Bolinto (Project Staff, CRHRDC) gave an overview of the ethical review process of submitted research protocols. Dr. Sheila Marie Esther Villanueva (Chair, Capacity Building Committee) also presented the Basic Research Methods (BRM) Modules that will be utilized during the Phase I Writeshop. Later in the afternoon, the participants were grouped according to their respective institution and a Training Needs Assessment (TNA) was conducted to assess the needs in furthering their capacities in the conduct of health research. Finally, a short workshop on identifying researchable topics aligned with the RUHRA was done in preparation for the development of Capsule Research Proposal after the training on BRM during the Phase I Writeshop.